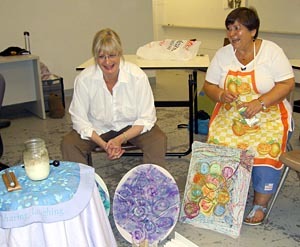 In 2004, Victoria Domenichello-Anderson and myself approached Ringling School of Art and Design, with the idea of creating an Art and Healing Certificate Program. 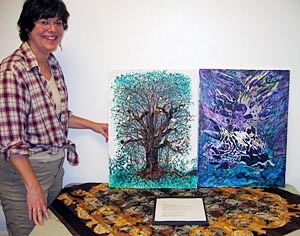 Nancee Clark, Director of Continuing Studies and Special Programs, quickly embraced the idea, and we offered our first course, Introduction to Art and Healing in the fall of 2004. The class filled, and was a huge success. We introduced Touch Drawing to our students, and the magic of this process was immediately apparent to everyone. Based on our students’ response, and our own experience with Touch Drawing, we decided to build a Touch Drawing course into our core required curriculum. Now, a year and a half later, we have over 30 certificate students enrolled, and Introduction to Touch Drawing, a 3-session course, is an integral part of the program. So many students have asked for “more touch drawing” that in the fall of ’06, we are adding Touch Drawing 2 as an elective. Our student population includes mental health therapists, teacher, school counselors, nurses and other healthcare workers, hospice workers, artists, business owners, writers, a holistic veterinarian, and more. 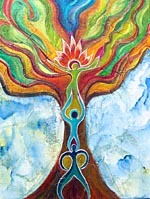 The myriad of ways that they are taking art and healing work into the world is remarkable and heartening. 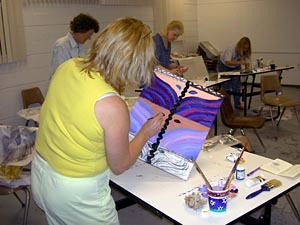 Through our series of courses, the students become immersed in a deep personal process, as well as studying theories, techniques, and applications. 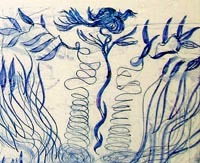 Coming to us from a wide variety of paths, there is also a large variation in prior art-making experience and skill. • Artistically, it is an equalizer. It seems that, no matter what the prior art experience is, when we all sit down together and place our hands on the tissue, we are all starting from the same place. • TD immediately takes us all to a deeper place. The left brain, having little point of reference, has to let go pretty quickly, as the imaginal realm, through body and hands, brings forms onto paper. • TD seems to create a pathway to more authentic personal imagery, and, for beginning artists, to more comfort with image-making in general. 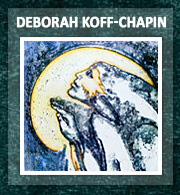 It is a “jump-start”, whether someone is creatively blocked, or simply inexperienced with art-making. • TD works well with other modalities. Our Art and Healing program, although grounded in visual art, is built on Victoria’s and my own training in inter-modal expressive arts. Often a series of TD’s tell a story, which can be written. 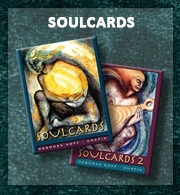 Witnessing them is an invitation to move into dance, and movement is an invitation to draw. • Sometimes, people think ”nothing is happening” as they draw. Or, sometimes people feel disoriented and uncomfortable at first, and want to stop “too soon”. Sticking with it, and following its energy, is important. It is not until they re-visit their images, especially with a loving witness, that they begin to notice and appreciate what is suggesting itself on the page, and what is happening within them. • TD is multi-layered. 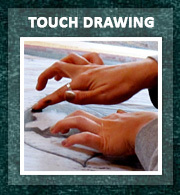 Sometimes people are tempted to consider “all those touch drawings” dispensable, but are surprised at the possibilities once they mount them. 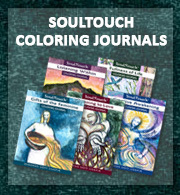 It is as though the conscious mind is elaborating on what the unconscious has presented; and, throughout the process of developing a drawing with color or collage, we are working back and forth between unconscious and conscious; right brain and left. a very integrative, holistic process of discovery. Our students are beginning to take the Touch Drawing process into a wide variety of settings. These include: the classroom, individual and family counseling sessions, hospice, hospitals, workshops for people dealing with pet loss, college student volunteer projects, assisted living facilities, to name just a few! And, stay tuned, because Ringling School and Health South have just initiated a pilot project, teaching TD to people with Parkinson’s, and their caregivers. The first two sessions have proven to be remarkable in many ways, and we look forward to sharing more as the project develops.